Lebron James has had a very eventful summer as he decided to right a serious wrong by returning home to Cleveland to play with the Cavaliers. 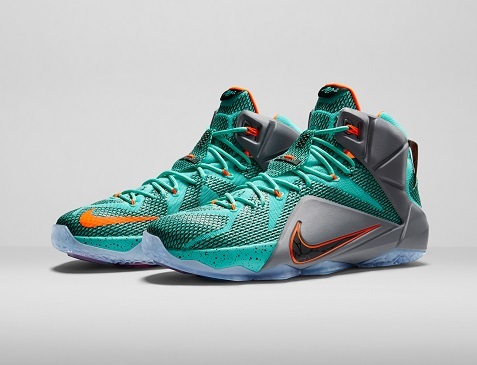 The season is coming up soon, and Lebron is capping off the summer by introducing his new Nike LEBRON 12 sneakers. You can see from the photos above that they’re going with a bold and colorful design. Miami Dolphins fans will love the color choices! With bold colors dominating the sneaker and athletic gear markets, this will probably go over very well. The LEBRON 12 is designed to enhance James’s explosiveness while combining three key benefits: superior cushioning, harnessed support and natural flexibility. It’s hard not to be impressed with the advances in sneaker technology, and Nike has been leading the way for years. So if you’re looking for a bold, new look for the fall, you might want to check these out. Just don’t wear them with your LeBron/Cavs gear — unless, of course, you like colors that clash! I’ve been upgrading my dress shirts lately, so I was happy to have the opportunity to try out two new shirts from AlaraShirt.com. I found two slim-fit shirts that looked great on the website – the Lavender grid slim fit shirt and the Navy – White pencil stripe slim fit shirt. The Lavender shirt has the grid pattern that’s been popular lately and the second shirt had a classic blue and white thin stripe look. When I opened the package I was impressed right away with the colors, which were very vibrant, and the overall look of the shirts that reflected the high-end quality of the items. I’ve been moving towards more fitted shirts for years, and both shirts were very well constructed and fit perfectly. Of course, that means I’ll have to stick with the healthy eating habits and working routine I’ve been I’ve been trying, as these slim-fit styles are not forgiving! 15-day, no hassle free return policy. The fitted shirts look fantastic with jeans or casual pants and of course under a blazer as well. You’ll find a wide variety of styles from trendier patterns to more classic looks. 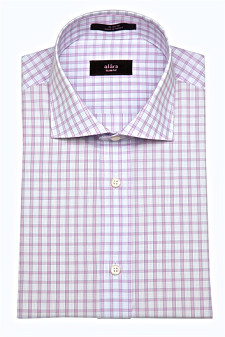 If the slim-fit look isn’t for you and you prefer roomier shirts, those options are available as well with Alara. Keep that in mind, as well, if you’re shopping for anyone else. It also helps to have some variety in your closet. If you’re wearing an undershirt, you might want to choose some standard-cut shirts for work. Both shirts we tried are competitively priced as are all the items on this website. Bullz-Eye readers will get an additional 10% off the sale prices listed on the site by using coupon code “alara10” at checkout. Along with dress shorts, you can also check out AlaraShirt.com for quality sports shirts and new items have been added for Spring & Summer. With Father’s Day around the corner you can find some great gift ideas as well. Whether you just finished college, recently got hitched, or just celebrated your Bar Mitzvah, you are now officially a man. While your $20 Timex Ironman has been reliable, it is past time to retire it. You know the watch I’m talking about…the one you got from your Aunt on your eight birthday; the one with twelve different features (most of which you never used). You’ve spent five times the original cost of the watch on battery replacements, and the nylon band, well, it smells pretty rank. Pay attention, because these will be the deciding factors while trying to decide which men’s watch to buy. First and foremost, purchase a watch that is practical. It sounds like I’m joking, but I’m not. When contemplating the complexities of purchasing a watch, consider both your lifestyle and the usefulness of the watch. 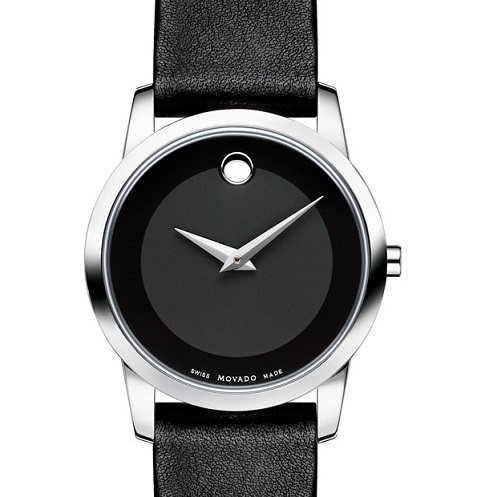 Below is a watch that I think you will find—umm, rather useless. The dawn of a New Year has a habit of shedding light on those parts of ourselves that we’d like to tweak and change. “A New Year, a new you:” a common mantra in support of creating and going after attainable New Year’s resolutions. Are you looking to dress the part of a new and improved version of yourself? I am going to give you some tips on developing your style for the workplace without radically altering your look that will make keeping your New Year’s Resolution simple. The name of the game is accessorizing. Most men balk at the term, but accessories are one of the easiest and most cost-effective ways to really polish off your style, and I know of a few essentials that you’ll be glad to have stowed in your arsenal. Surprisingly enough, shoes tend to be one of the first things women notice about a man. If you’re shuffling around in a beat up or scuffed pair of department store kickers, you’re drawing far too much negative attention to yourself. When it comes to dress shoes, stick to natural colors and patterns – you can’t go wrong with plain, laced up leather shoes in black, brown, or cordovan (burgundy). I prefer shoes without buckles, because I feel buckles limit the versatility of the shoe. To add some flare I like wing tips: think Mad Men style. High quality shoes do not necessarily have to be expensive. 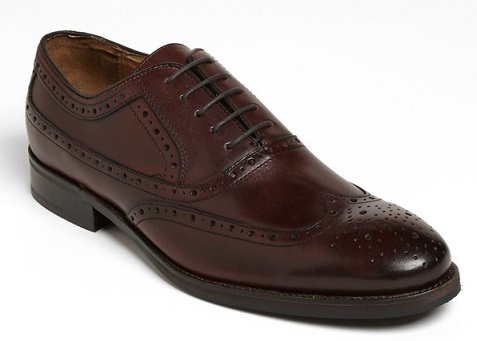 Consider shopping at places like Nordstrom Rack for great deals on designer shoes such as Johnston and Murphy Wingtip Oxfords for around $150. The style of a man’s timepiece gives a brief but in-depth look at his personality, and a good watch makes a fine first impression. Trust me; watches are the one subtle accessory that will always get noticed. Not to mention, whereas other accessories will wear out and require replacing over time, a real high quality wristwatch will serve dutifully for a lifetime, after which it can be passed on as an heirloom. Even if you can’t afford to drop a few G’s on a timepiece, a watch at an entry level price will still make a great statement in the workplace. A professional-looking watch should be understated and classic. I like watches where the dial matches the wrist band, but have seen many beautiful pieces with a leather strap and silver/stainless dial. It all comes down to personal preference. As a rule of thumb, stay away from brightly colored faces and straps – unless they are refined, elegant, and match your suit well. And unless you are in a high up executive position with a large company, a wristwatch in solid gold will make you look ridiculous. Stick to stainless steel and silver; rose gold for more casual work environments, and classic leathers. While it is true that some entry-level watches from brands like Omega can cost upwards of $2,000, a good quality watch like Stuhrling from ShopHQ, will suit your purposes well and set you back only a few hundred dollars. A price frame between $300 and $1,000 usually implies that the pieces are mass-produced, but that’s not to say that they aren’t well made. In general, a watch made in Switzerland, Japan, or the USA can be trusted to be of higher quality and good value. 1)	Do not wear loud colored ties to work or, more importantly, a job interview, and stay away from bright reds exclusively. a. Bright, obnoxious ties in general are just annoying; it is better to wear a subtle tie that will get you taken seriously. 2)	Do not wear novelty ties. Ever. 3)	Ties should fall to just above the beltline, no shorter or further. 4)	The tie should not match the shirt’s color exactly. Experiment with contrasting colors that go well together, like black and white, or patterned button-up where the tie’s color can be found in the shirt’s details. As with other accessories, creating a stylish wardrobe shouldn’t cost an arm and a leg. In reality, a $200 Armani tie will not function better than a $50 Donald Trump tie from Macy’s. I have had great luck in scoring some really nice ties from thrift stores for under $5! Pocket squares aren’t for everyone, but maybe that is because not everyone is capable of pulling them off. Your pocket square should carry a color from either your shirt or tie, but not both. As with a neck tie, there are multiple ways to fold the fabric, including the Straight Fold, One Corner Fold, and Puff Fold, all of which are incredibly straightforward and can be demonstrated on Youtube. Again, cost hardly depicts the quality of a pocket square; go for one that is a stunning match to your suit, not one that boasts a designer label. If you really want to save money, you can even try making your own. This way, you get to select the fabric that best complements your suit shirt or tie. My personal favorite accessory is one that can really set you apart from the crowd: a good fountain pen. Nearly every time I bust out my pen to sign a receipt or write a note, I get compliments and questions. It is a great conversation starter, especially as most people have never even seen a fountain pen! Like watches, fountain pens can be very pricey – some Mont Blanc fountain pens cost over $3,000, and fine heirloom quality pens are abundant around a price point of $500-1,000. Most pens in the $500 and up price range will have at least a 14K gold nib; that being said, an impressive-looking pen with a stainless steel nib, like the Cross brand at Office Depot, can be had for as low as $50 at most office supply stores. Though stainless steel nibs do not write as well as gold nibs, the stainless steel nib does write much better than an everyday roller ball or gel pen. Take your look to a new level this year by adding some subtle accessories that will set you apart in the workforce and show a little bit more of your personality. Use these guidelines as a starting point as you develop your own tastes and preferences. If you have suggestions on where to get high quality pieces or if you know of lesser known brands, leave a comment!